Harry Stewart emigrated to Rhodesia in 1951, having served six years in the army. and for the next 30 years he fished every trout stream and dam in the area. 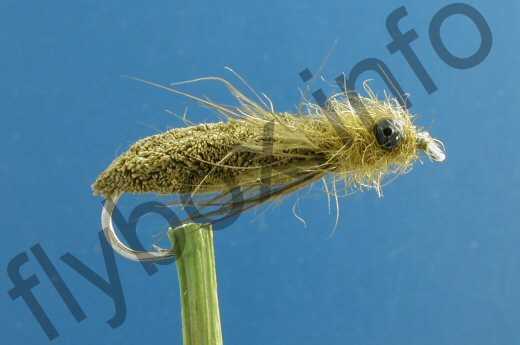 Harry created this fly in the early 1970's for fishing the dams at Inyanga, Rhodesia. Body : Deer Hair, dark/black. Hackle : Large dyed partridge. If eyes are to be used, either bead chain painted black to sink or "booby eyes". Currently there are no comments about the Deer Hair Dragon Nymph fly pattern from other fly fishermen yet.